What is the basic need of every living creature? You’re dead right, Everyone wants to stay safe and secure. Its the war of survival and Winner is the one who is the most adaptable. Still not convinced with the answer? Many species of animals are completely finished. You know why? They could not adapt to the environmental changes, now they are nowhere on this planet. Although man is not very strong but being the most intelligent he invents things for his comfort and safety. One of the key inventions of man is the security camera Needless to say that, it’s the main component of every home security system. You observe all kind of security cameras every now and then almost all the public places. Some of the modern cities have 100% coverage of the area by security cameras. In this article, we will discuss IP Cameras & CCTV cameras only. IP Camera/Internet Protocol Camera is also known as Netcam. The reason it is called Internet Protocol Camera is that it is directly connected to a network connection. You can remotely control this camera and view its activity if you have an access to Internet connection. First IP Camera was released in 1996 by Axis Communications. 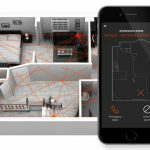 If you are looking for video surveillance of a specific area, there are two primary types of solutions offered commonly. These are the IP cameras and CCTV cameras. While both have their own features, they essentially serve the same purpose which is to protect your properties from prying eyes. However, the fact that they work in different ways make a person think about which to pick and which to leave. 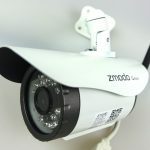 Here, we will reflect on CCTV and IP cameras, their differences, types, installation, and pros and cons of IP security cameras. 0.1 What is IP Camera? 0.3 What is a CCTV Camera? The digital IP cameras are often regarded as the next generation cameras. The fact that word IP is associated with them makes people think that what is an IP camera used for? Well, it provides you video surveillance of an area but works in a unique manner. They have higher image quality and better resolution which provides you a clearer view of the area. Moreover, you can also label them as the digital version of CCTV cameras. IP Cameras come with support for multiple users which means more than one user at the same time can observe its view using devices connected to the internet. Also, the advanced controls and presence over a network, flexibility to add as many cams as required, and no need for proprietary hardware are a few things which may make you love these cameras. Walter Bruch invented CCTV(closed-circuit television) cameras. These are the ones that people use to detect intrusion and assess alarms. The cams started to grow in the mid-1980s and quickly became a standard for video surveillance. They are known for low maintenance and simple to use applications. 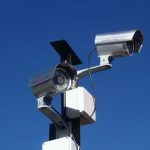 They are available to you in very flexible packages and from a single cam all the way up to advanced surveillance systems, all are present in the modern-day monitoring industry. 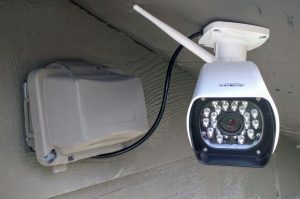 These cameras are connected to DVR(digital video recorder) placed at some safe place to save all the recordings in it. It has some hard drive or memory card connected to it. These cameras come in the market at a very affordable price range. Look, You should have a clear thought about the purpose of installing a camera then you can select easily between CCTV Camera vs IP Camera. If you want to record high-resolution videos then you should definitely go for IP security camera. If you just want to observe the things at a larger scale then CCTV Camera is the best option for you. When it comes to managing and observing the Area remotely then without a doubt IP camera will work best for you. What is the difference between IP camera and CCTV? So, if both are used for surveillance, then what is the difference between IP camera and CCTV? Well, many people who look forward to use these cams wish to acquire knowledge about what is the difference between analog and IP cameras? The CCTV cams are used to transmit signals in a way a television can understand it. These can be received by a video receiver such as a VCR or a monitor too. On the other side, IP based cameras digitize the video signals with the help of the modern technology present in them in the form of special encoders. These encoders have an onboard web server which allows the IP to connect the network and send it to the web browser where one can access it over the internet too. 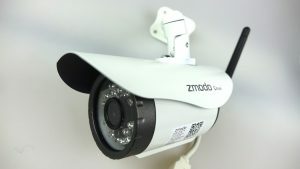 Both types of cams have the ability to transfer signals with the help of a wired connection, mainly via a CAT-5 cable, as well as through wireless means. 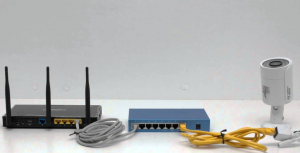 However, the IP models use advanced technology and, thus, can use the switches, hubs, and routers which allow them to reach to a wide area network, increasing their range. These type of cams can clearly capture a footage from their focus point, therefore, recommended to be used for monitoring a specific area. Some of them can be enclosed in a dome which allows a person to hide the direction in which the cam is facing, allowing for a discreet and unnoticed monitoring of a certain area. The day and night cameras can help you in monitoring a space 24/7 without any problem. These cams make use of the IR light which helps in capturing footage in low light and dark conditions. Therefore, the images you receive in day are full in color but as it gets dark, you have more of a black and white image. Wireless IP cameras are very easy to use as they don’t need any wiring. These models come with an antenna which helps them in communicating with the devices around. However, you need to be careful about the distance guidelines as they perform well only at a certain range, based on the model you choose. To monitor the offices and production lines, indoor cams are used. They come with different features and are produced by various companies and brands, coming with numerous options. We all know that weather can be harsh at the outside so one has to use a camera that can perform well in any environmental condition. So, you can use the special outdoor IP cameras as they are able to withstand the moisture, wind and dust. These are usually cams which are enclosed in a housing that has IP66 or IP67 rating which assures that the models are weather proof. The Pan, Tilt, and Zoon, PTZ cams, are used for monitoring wide areas. These can be rotated at various angles and come with an electronic controller. The videos they capture are transferred through an IP network to a PC server which enters it into a video management software from where you can deal with it. The IP camera installation isn’t a simple procedure. First, you need to define a network over which you are using the cam. The network has to be secure to assure that there aren’t any intrusions. Then, select the network camera which is durable and comes with decent performance. They are a bit costly but the fact that they produce clear and high-resolution images make up for the money that you pay. Once done with the camera, choose compression rate because it would impact the performance and smoothness of video. You will be provided with video management tools to make sure that the software is easy to use and has everything that you need. Then, the storage capacity is something which you should look forward to. If you plan on using local storage, you might be in need of big and bulky drives. However, many individuals use cloud storage for the purpose of storing images. Apart from that, you can use the existing analog cams and wireless networking too. The installation expert will help in preparing the network and design it in such a way that the video feed is running smoothly for you. Last but not the least, don’t forget to ask the professionals about network security. The IP security cameras can be taken as the digital CCTV cams. They help in taking the video feed over a broad network and one can send it to internet and control it from any part of the world. Different types of IP cams are available to you and there are three installation types namely basic, peer to peer, and wireless connection. Make sure that you evaluate your needs before you opt for an IP surveillance system. 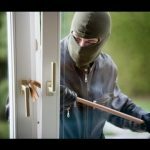 What are the common problem you are facing with your security cameras or Home Security system, We would love to hear from you and will try our best to help you? If you have any queries or want expert advice feel free to contact us.